MEMBER’S CHOICE® Credit Disability Insurance is a voluntary coverage plan that helps make monthly loan payments, up to the policy maximum, should you become totally disabled. 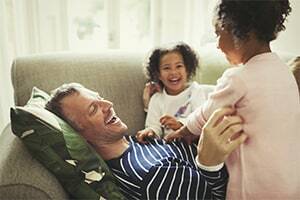 MEMBER’S CHOICE® Credit Life Insurance is a voluntary coverage that can help reduce or pay off your loan balance, up to the policy maximum, if you or your covered co-borrower pass away. If your vehicle is in an accident and is declared a total loss, most insurance companies will only pay up to the book value of the vehicle. Since new cars drop in value the moment they leave the car lot, the book value is often less than the amount that is owed. If a car is wrecked the borrower is responsible for the difference of what the insurance company pays and what is owed on the car. GAP pays this amount for you if your vehicle is wrecked. EXTRA BONUS: If you have to use GAP, it even gives you a $1,000.00 down payment on your next auto loan with Members Advantage Community Credit Union. First the loan is made and then it is submitted to our GAP provider, which in turn sends a check for $1,000.00 to pay down on your loan. GAP is available for car, truck, SUV, and van loans. Motorcycles, RVs, and boats are not eligible for GAP coverage. For more details and current pricing on GAP, please contact your MACCU loan representative.